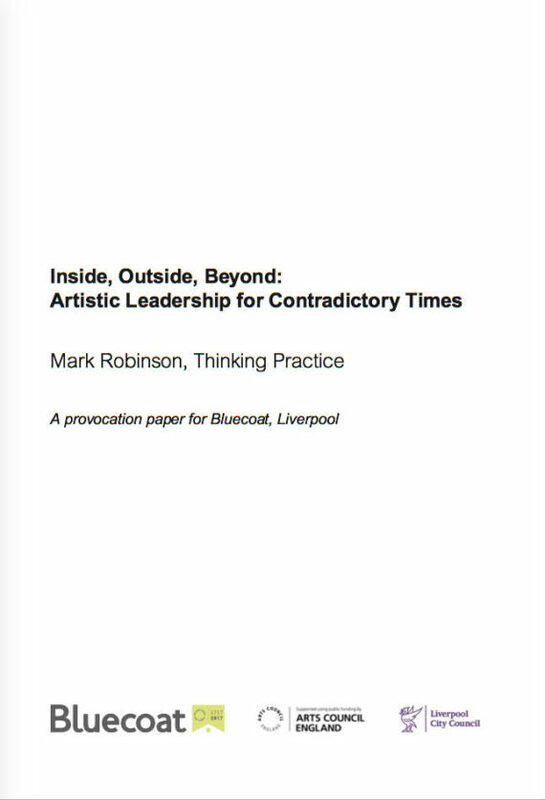 A provocation paper commissioned by Bluecoat from ex-Arts Council, NE director, Mark Robinson. Acknowledges that the demands on leaders in the arts are expanding exponentially (and notes the impact of this on diversity of leadership). Suggests that four capacities are essential for leadership in the complex arena of the 21st century: accountability, framing and reframing purpose, inspiring and enabling co-creation, inspiring change and being changed.